Living in the Milton area and want to get information on yearly worldwide car sales, trends and figures? 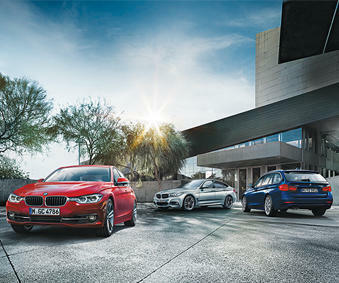 Let’s learn about facts and statistics related to car sales at Budds’ BMW Oakville. The Car manufacturing industry has grown substantially over the past decade with new brands entering the mix introducing strategies like fuel efficiency and power and reliability. Also, existing brands have followed suit and adapted to this leading to the adoption of the same strategies. This is just one specific reason for the increase and growth, there are many more possibilities as well as to why people are purchasing more cars than ever these days. Another reason is that cars these days have become necessity opposed to luxury. The purpose of a vehicle is to get you from point A to point B as conveniently as possible. Aside from the upper class, people are choosing to buy affordable yet reliable cars to help them achieve this. A recent study carried out two years ago has shown that there were almost 1.2 billion cars on the roads. If you added that number to the 74.4 million automobiles sold in 2015, it shows you how much the automobile industry has grown. The car sales trend increased in 2015 with markets in Japan, Russia and Brazil weakening while markets in the U.S, China and Europe began to strengthen. Europe experienced the largest increase in vehicle registrations, but China, being the automobile import juggernaut that it is, experiences the largest single-country market by far, and has an increased number of sales then the U.S. Car sales in Japan were down for the whole year in 2015 and this was the direct opposite in India with their vehicle sales. -Continued growth in the Indian car market with the market expanding by 10.5% to 231,000 cars. -Lower car sales in Russia with the market contracting by 1.6 million vehicles. -Brazilian market experienced continued weakness with sales down by 2.5 million units. -Japan experienced weaker sales trends with the market contracting by 15%. -Europe had the fastest growing car market in 2015. -China was the world’s largest car market in 2015. -Light vehicle sales in the US grew by 5.8% in 2015. -China’s sales went up – experiencing a 9.1% change. -India’s sales increased – experiencing a 7.9% change. -Sales in the US increased – experiencing a 5.8% change. -A 9.2% increase in sales in Europe. -Russia’s market dropped – experiencing a -35.7% change. -Brazil’s market dropped – experiencing a -25.6% change. -Japan’s sales decreased – experiencing a -10.3% change. If you live in the Milton area and you are looking for information on car sales in Oakville, we recommend that you visit the Budds’ BMW Oakville location where we provide you with world class customer service the moment you step foot in the dealership!